Shortly after the successful Sit-At-Home organized on 30th May 2017 by IPOB to commemorate Biafran fallen heroes who were murdered by the Nigeria government from 1966 till date; attentions have been drawn to the news peddled on social media by a group known as Int’l Society for Civil Liberties & the Rule of Law (Intersociety) and Southeast Based Coalition of Human Rights Organizations (SBCHROs) on the 2nd day of June 2017, laying unverified ludicrous allegation on the leader of Indigenous People Of Biafra, Nnamdi Kanu, which allege he was recently handed over a cash of $50,000 and two SUV cars by Governor Willie Obiano which he gladly accepted in return for political favours. This allegation making the news in the political jobbers' web and social media 247UReports, is not only false but also a plot (which they seek for long) to taint the image of the incorruptible leader of IPOB and to turn Biafrans against him. The role of Intersociety in peddling this fallacy as contained in their update on 2nd June 2017, where they systematically concured with the allegation by telling Nnamdi Kanu to return the gifts which they call bribe for political favour for the upcoming Anambra state election, without thorough investigation, verification and hearing from the accused,, is offensive to moral sensibilities and injurious to ones reputation and as a matter of fact, this improper act from this group leaves us with no other option than to believe they're party to this fallacy concocted to tarnish the image of Nnamdi Kanu. During his incarceration in prison; different offers were presented to him for him to abandon the struggle to restore Biafra and betray the Indigenous people who are dedicated to this cause but Nnamdi Kanu turned the tempting offers down and maintain his stand which is "Biafra or nothing". There's no reason why he'll accept gifts in return for Anambra political favour for Governor Willie Obiano on whose watch, Biafrans were slain at Nkpor. If the issue is accepting gift in return for political favours, how come Nnamdi Kanu publicly announced no elections in Anambra State and in the entire BiafraLand? It's indisputably obvious that some individuals and groups, have allied with the Nigeria government just to tarnish the image and soil the name of Nnamdi Kanu in other to make him lose the trust of the people and these they've callously carried out in different ways, now they've resorted to laying false accusations which (as a matter of fact) won't see the light of the day. Others have betrayed the people of Biafra due to their engagement in the Nigerian political activities and deviating from the cause which many Biafrans died for, but Nnamdi Kanu, the leader of the Indigenous People Of Biafra is a man who will not betray the people of Biafra for any reason. His deeds and stand even when he was incarcerated proves who he is and what he is capable of. 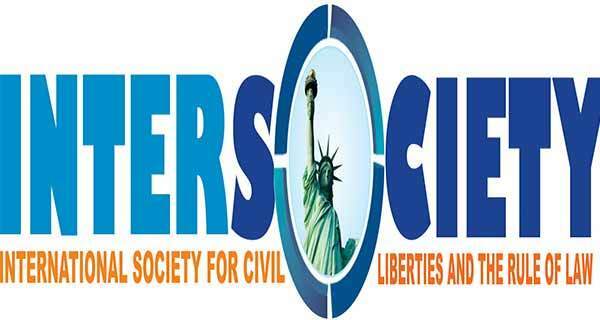 In Southeast, there are cases of illegal detentions and judicial killings; instead of advocating and looking into these issues as a human right organization which they tag themselves, Emeka Umegbalasi and his group called Intersociety have turn themselves to gossipers who only listen and conclude on hearsay. And this, have clearly expose their unprofessionalism as a human right group which they claim to be and it have further unmask their true identity. To me; it's not a surprise seeing this unsubstantiated and unfounded allegation from Intersociety and some political elements because IPOB have experienced issues of such earlier and we conquered with truth. Intersociety, other individuals and groups spilling unsubstantiated allegations on Nnamdi Kanu should note that further attack on IPOB and unguided utterance from them toward Nnamdi Kanu won't be taken lightly by Biafrans. There is serious need for Intersociety to prove the source and show evidence of the allegation against Nnamdi Kanu they peddled or retract their unguided utterance urgently else they should get ready to dance to the unfriendly tunes Biafrans will play on regards to this issue. However, they should endeavor to channel their energy towards what they claim to be, not hawking and peddling fallacy. Nnamdi Kanu will always be who he his is and he'll always stand strong for what he stand for until Biafra is restored. DEAR BIAFRAN WRITERS,PLEASE,NOT EVERY WORD FROM THE PUBLIC(SOCIAL MEDIA)WE EXPECTED YOU TO REPLY.WE ARE BIAFRANS AND BE MINDFUL OF ENEMIES ACTIVITIES WITHIN AND BE INFORMED THAT EMEKA UMEAGBALASI HAS NOTHING AGAINST LEADER NNAMDI KANU.PLEASE,ANY ATTACK/DEFENSE MUST BE GUIDED BY TRUTH AS BIAFRANS ALL LOVE IPOB ACTIVITIES WITH OTHER BIAFRA GROUPS. SO,BE INFORMED THAT NEITHER UMEAGBALASI OR ANY OTHER BIAFRAN GROUP IS AGAINST YOU,LEADER NNAMDI KANU BUT YOU AT FAMILY WRITERS MUST WORK HARD TO BRING LEADERS OF BIAFRA IN SISTER ORGANIZATIONS. PLEASE,DO YOUR PART AS IPOB AS DELEGATED TO YOU WHILE SISTER GROUP(S) DOES THEIRS IN RESTORATION OF BIAFRA AND STOP UNNECESSARY THREATS. WE ARE BIAFRANS AND THE LORD GOD MADE IT SO BUT HATES DIVISIONS YOU ARE CREATING OUT OF NOTHING. GOD BLESS BIAFRA/BIAFRANS AND HER LEADERS INCLUDING LEADER NNAMDI KANU OF IPOB!! URS THE BIAFRAN RABBI.